Posted March 29, 2016 & filed under Blog, Flood Mitigation. The old Rainbow freight yard at the Burgage, Southwell provides a very good example of the opportunities presented by the redevelopment of previously-used sites in helping to tackle local flood risks. Built before modern planning laws came into place, all the hard-surfaces within this former industrial site added to the load on local drainage infrastructure, heightening flood risks during heavy or prolonged rainfall. 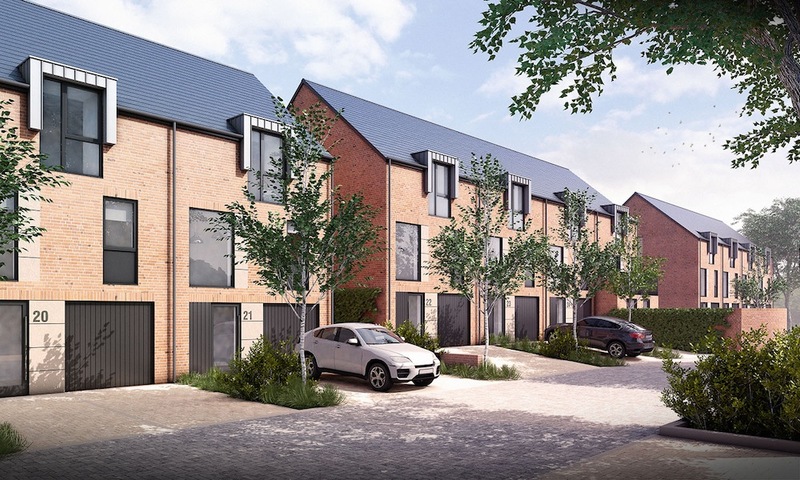 Redeveloping the site for housing provides the perfect opportunity to rectify this historical legacy by making sure that the new drainage arrangements on the site are “sustainable”, which means avoiding downstream risks of floods. 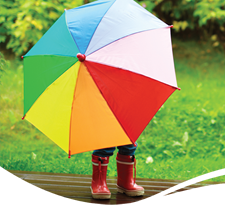 Put simply, this means that housebuilders have to ensure that the amount of rain water which runs off a new developments into storm-drains is less than the amount which would have run off prior to the new homes being built. This is being achieved at the Burgage by a combination of natural infiltration into the ground and “attenuation”, meaning slowing the rate at which water leaves the site via the storm-drains. The improved natural infiltration is being achieved by replacing what were previously vehicle hard-standings, with soft-landscaping and permeable paving; the attenuation is achieved by installing large underground water tanks, that store rainwater as it falls, then slowly releases it into the local drainage infrastructure at a controlled rate so it doesn’t create a flood risk. 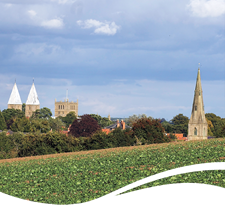 As the people of Southwell will know at first-hand, reducing present flood risks is an important national priority, emphasised by forecast population growth which will require increasing the availability of new homes and workplaces; it is obviously vital that when building these, we do not add to the load on already stressed drainage infrastructure. Even more important, changing weather patterns, which we are already experiencing, will also increase flood risks as the traditional British climate of moderate all-year rain, gives way to much wetter winters with more intense rainfall events, and drier summers. Understandably, therefore, avoiding future floods has become a major planning issue, even for individual home-owners who must now seek permission before doing anything that would increase the water run-off rate of their home. Examples of when this might happen are when paving-over or tarmacking gravel drives, or when front gardens to car-parking spaces. Flood risk avoidance has therefore been a major consideration in the design of the Becher’s Court re-development now well underway on the former Rainbow’s site at the Burgage. Attractive soft-landscaping and use of permeable paving will replace the earlier transport hard-standings, to play a key part in providing attractive new homes that do not add to local flood-risks. The incorporation of underground water storage tanks to prevent water flowing off the development until it is safe to do so, means that the Burgage site now makes a substantially lower contribution to local flood risks than previously. 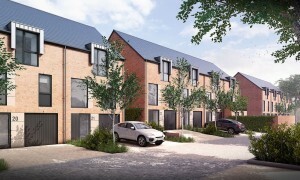 Where appropriate Gusto Homes often incorporate rainwater harvesting system into their developments and whilst this was considered for the Burgage site it was decided that because of the design and layout of the properties it would not be a cost effective technology to use. On other sites, such as Gusto Homes The Edge (www.gustohomes.co.uk) development, all the properties use harvested rainwater for toilet flushing and outside taps.